Duffy and I could not contain our excitement following the leaking of images and information about the new ‘Season of the Force’ being held at the Walt Disney Studios Park next year by a UK travel agency last week. 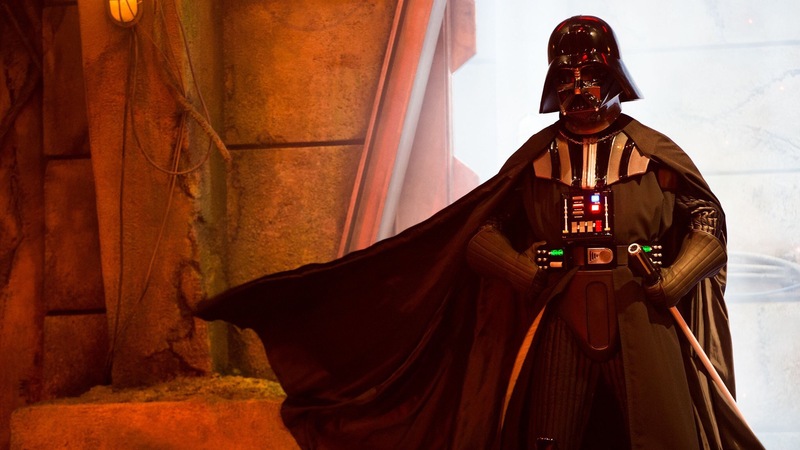 After days of waiting and lots of fan speculation – Disneyland Pairs has finally released some official information about the ‘Season of the Force’ on its PR News website today. 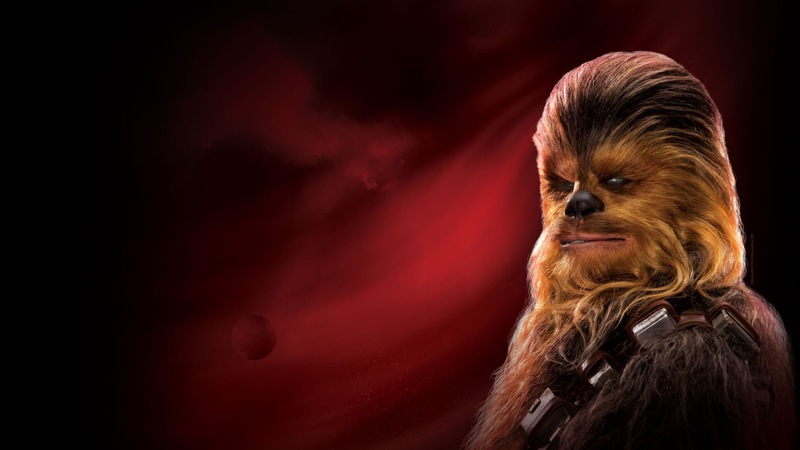 The new Season of the Force event will be held at the Walt Disney Studios Park between 14 January to 26 March 2017 and according to a Tweet by French fan site ED92 Guests will be able to see Chewbacca, Vador, C3PO, R2D2, Kylo Ren, Cap Phasma, Darth Maul, Jedis, and Stormtroopers on stage during the Season of the Force nigh time show which will include projections onto the parks iconic Tower of Terror ride. Reliable sources have confirmed that the new night time show will be held at park closing allowing Guests plenty of time to be able watch Disney Dreams! at the Disneyland Park as well. Is this the start of the turn around of the often forgotten Walt Disney Studios Park? The Season of the Force is obviously an attempt by Disneyland Paris to cash in on the popular Star Wars franchise after the success of the Star Wars Night party held last December at the resort, and increase the much needed visitor numbers the resorts desperately needs during the quiet January and March winter months. Are they cashing in on the back of the release of the latest movie in the Star Wars franchise Rogue One: A Star Wars Story scheduled for December 2016? – Of course they are! And I hope it continues. 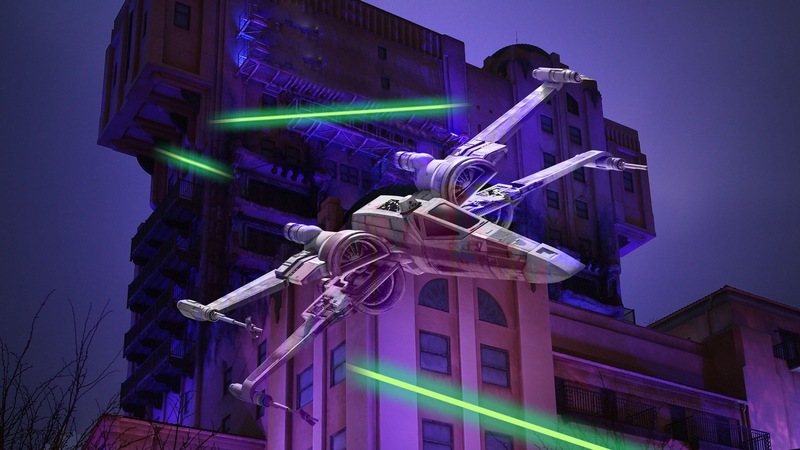 Walt Disney Studios Park desperately needs a ‘season’ to call its own and I hope the Season of the Force is it, and it becomes successful for the resort. The official press release which gives some information about this new season is below and more information is expected to be released on 1st September 2016. This experience is guaranteed to dazzle everyone, from the youngest Padawan to the wisest Jedi. From 14 January to 26 March 2017, come to the Walt Disney Studios Park and let the force be with you with Star Wars, Season of the Force. A Policeman from the Spanish port city of Valencia has been assigned to join French Police as they patrol the tourist areas of Disneyland Paris, La Vallée Village and the center of Val-d Europe as part of an international Policing cooperation program created by the French Police Force. Spanish Police Officer Israel Gil-Amador said “I was chosen because I already speak French well”. He expressed his wish to undertake a mission in France to his superiors and was assigned to Chessy. His main mission is to help Spanish or Spanish-speaking tourists. 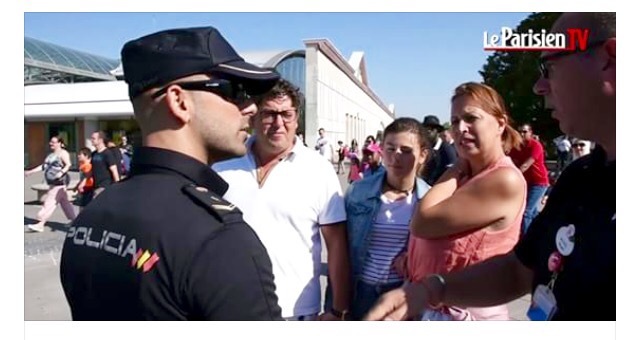 During the evacuation of the Marne-la-Vallée TGV train station after three suspicious packages were found on 10 August, he was able to help and inform Spanish-speaking tourists on the steps to follow during the evacuation. “Visitors have found my presence reassuring and are far more grateful for my work here than in Spain” he said. In addition to joining French Police officers on their patrols, he also helps with interpreter assignments. “It is very valuable to our staff when dealing with challenged or Spanish-speaking victims,” ​​explains Georges Jerome of the French Police. Fantasia and Pinocchio win 1941 Retro-Hugo Awards. Two classic Walt Disney animation films, Fantasia and Pinocchio were awarded with Retro-Hugo Awards yesterday (Thursday August 18th 2016) at MidAmeriCon II the 74th World Science Fiction Convention being held in Kansas City, Missouri, U.S.A. The World Science Fiction Convention or Worldcon for short is the oldest running science fiction and fantasy convention in the word, and has been in existence since 1939. The Hugo Awards have been presented annually since 1955 are one of the most prestigious awards in science fiction and fantasy. Named after Hugo Gernsback, the founder of the pioneering science fiction magazine Amazing Stories, they were officially named the Science Fiction Achievement Awards until 1992. Retrospective Hugo Awards, or Retro Hugos, were added in the mid-1990s. These awards are given by Worldcons held 50, 75, or 100 years after a Worldcon where no Hugos had been awarded. Therefore this years Worldon hosted the ceremony for 1941. Yesterday, 76 years after the release of Fantasia, Walt Disney Productions was awarded the Retrospective Hugo Award for Best Dramatic Presentation (Long Form). The film faced competition from the likes of ‘Flash Gordon Conquers the Universe’ and ‘Dr. Cyclops’. At the same ceremony Disney’s 1940 classic Pinocchio was awarded with a Retrospective Hugo Award for Best Dramatic Presentation (Short Form) beating off some stiff competition from the likes of ‘The Invisible Man Returns’, and the Tex Avery classic ‘A Wild Hare’. Here is a full list of the finalists for 1941 Best Dramatic Presentation Retrospective awards. 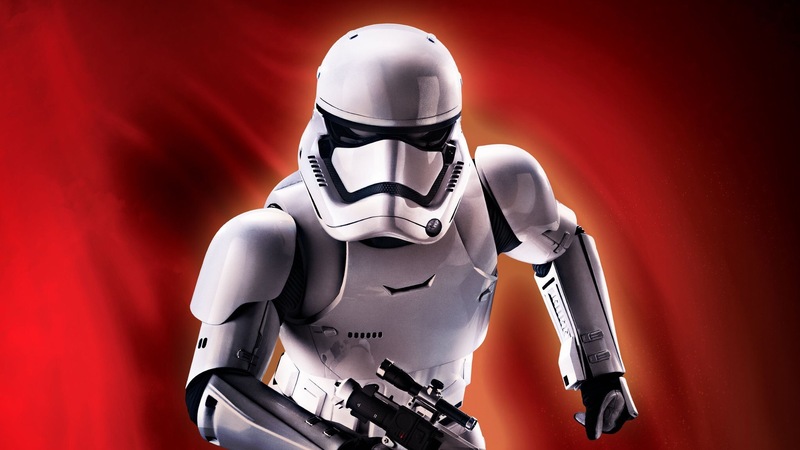 To bring us back to the present this year two Walt Disney Studios Motion Pictures films have been nominated for the 2016 Hugo Awards, ‘Avengers: Age of Ultron’ and of course ‘Star Wars: The Force Awakens’. Both films this year face very strong competition from the likes of ‘Mad Max: Fury Road’, ‘The Martian’ and ‘Ex-Machina’. The winners of the 2016 Hugos will be announced on Saturday, August 20, at the MidAmeriCon II Hugo Awards Ceremony. 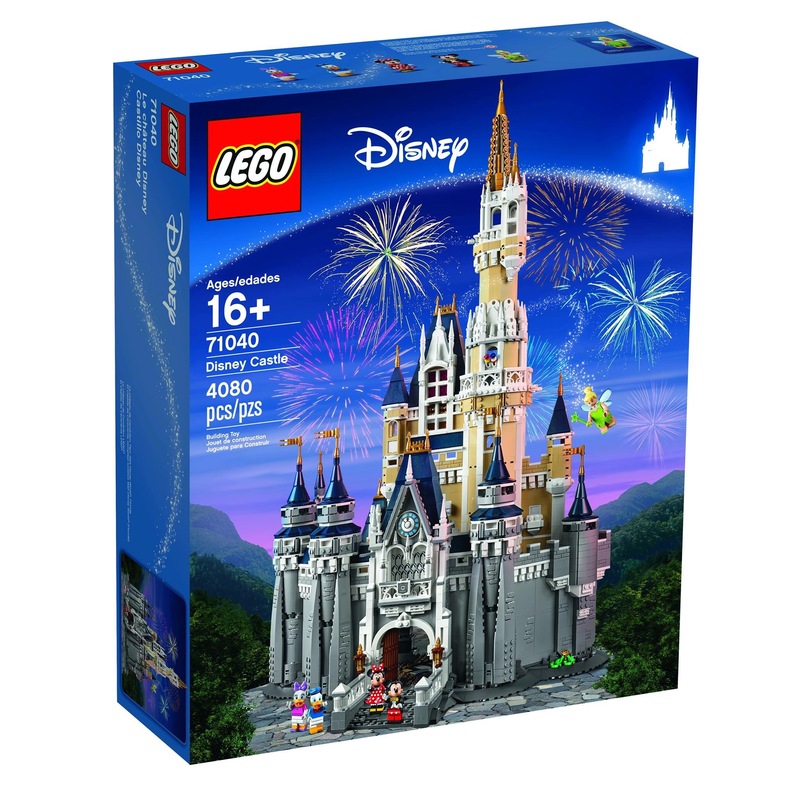 The recently released LEGO Disney Castle is now available at the LEGO Store in the Disney Village. 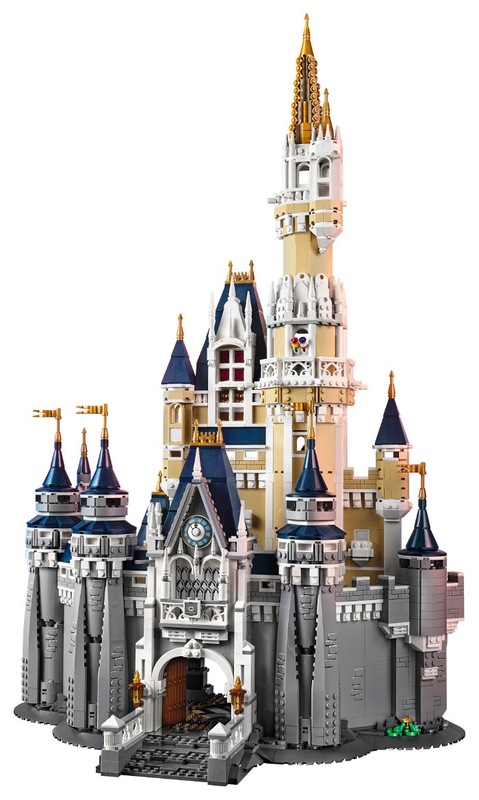 The 4,080 piece castle which includes five Disney figures is on sale for 349.99€ / £303. Standing at over 29” high and 17” wide this replica of the Walt Disney World Resort Cinderella Castle is going to take a fair bit of time and space to build. I wonder if LEGO is ever going to release a copy of the Sleeping Beauty Castle from Disneyland Paris? Halloween at Disneyland Paris – Funny or spooky? Despite allowing the Disney Villains to plunge guests into a spooky world, Mickey and friends will be here to help making mischief at Disneyland Park. Mickey, along with his fellow adventurers, Minnie, Donald, Daisy, Scrooge McDuck and many more will be celebrating the harvest at Mickey’s Halloween Celebration. Bursting with colour and fun, the parade is the climax of the seasonal celebration, which takes a villainous turn soon enough. Maleficent, queen of the Disney Villains will take possession of Castle Courtyard, claiming it as Maleficent’s Court . This fearsome fairy will pose beside her unnerving bramble bush: a captivating encounter for half-amused, half-frightened guests. Maleficent’s spell will extend to Royal Castle Stage where the Disney Villains will challenge the most audacious guests to attend their show if they dare: It’s Good to Be Bad with the Disney Villains! Because this year, the Disney Villains have planned even more surprises for guests. Guests looking for a bit of adventure will also love the Park attractions, which provide thrills throughout the year. The loops of Space Mountain: Mission 2, the frightening track of Indiana Jones and the Temple of Peril and the delirious speeds of Rock ‘n’ Roller Coaster starring Aerosmith will send shivers down the spines of even the most seasoned rollercoaster fan. And for more unusual thrills, guests will be able to venture off towards The Twilight Zone Tower of Terror. This aptly named attraction will allow guests to rediscover their love of fear, as the elevator plunges them down. One thing is certain; the view is worth the detour. The Halloween spirit will stretch its ghostly arms throughout Disneyland® Park, from Main Street, U.S.A.® up to Sleeping Beauty Castle. Sinister and comical, Disney’s Funky Pumpkins will oversee this transformation, amusing and intriguing guests. Meanwhile, the smiling phantoms of the former inhabitants of Main Street, U.S.A. will invite guests to pose with them, allowing them to immortalise the moment. The most daring guests at Disneyland Park can enjoy the culmination of the season, Disney’s Halloween Party 2 on 31 October 2016 until 1 am. When night falls, they will be able to continue to relish the atmosphere in the Park with fun, frights and surprises, as part of a unique and original experience at the mercy of Mickey and his friends and the tricks they have in store. Euro Disney S.C.A. published their Q3 results for the fiscal year 2016 which ended on 30 June 2016 yesterday, and as expected following the recent terror attacks in the French capital attendance deceased at Disneyland Paris from all the Group’s key European markets. Q3 saw an 11% drop in attendance and resort revenues dropped by 13% to €182 million. Hotels and Disney Village revenues decreased 6% to €132 million and hotel occupancy saw a drop of 2.4%. The decrease in hotel occupancy was attributed to fewer room nights being sold compared to the prior-year quarter. Theme parks revenues decreased 5% to €522 million due to a 7% decrease in attendance. The resorts negative performance in Q3 has had a major impact on the Group’s liquidity position during the quarter forcing Euro Disney to draw an initial €40 million from the €350 million standby revolving credit facility granted by The Walt Disney Company. Subsequent to the third quarter, Euro Disney drew an additional €90 million from this facility. The resort did see an increase of other revenues by €3 million to €30 million primarily due to an increase in booking cancellation fees. The full press release for the third quarter results can be downloaded here. (Marne-la-Vallée, August 9, 2016) Euro Disney S.C.A. (the “Company”), parent company of Euro Disney Associés S.C.A., operator of Disneyland® Paris, today reported revenues of the consolidated group (the “Group”) for the third fiscal quarter and nine months ended June 30, 2016. “The third quarter faced difficult external factors impacting Paris tourism, including strikes, exceptionally poor weather and floods, as well as acute public security concerns following the events in Paris and Brussels. In this difficult context, Resort revenues are down 10% for the third quarter and 3% for the nine months. Costs have increased, driven by our continued investment in entertainment experiences and hotel refurbishments, particularly as we prepare for our 25th Anniversary next year. Additionally, the Group incurred incremental costs related to security measures. While our long term investments in the guest experience have begun to show improvements in guest satisfaction ratings on our most recently completed projects, the short term impact on increased costs in combination with the decrease in Resort revenues has resulted in a degradation of the Group’s financial performance for the period. In addition, as of now, we are unable to predict the potential impact on our business from the political uncertainties in Spain and the United Kingdom, as well as the recent event in Nice. Resort operating segment revenues decreased 10% to €324 million, compared to €359 million in the prior-year quarter. Theme parks revenues decreased 13% to €182 million due to an 11% decrease in attendance and a 2% decrease in average spending per guest. The decrease in attendance was due to fewer guests visiting from all the Group’s key European markets. The decrease in average spending per guest resulted from lower spending on admissions, merchandise and food and beverage. Hotels and Disney Village® revenues decreased 6% to €132 million due to a 4% decrease in average spending per room, a 2.4 percentage point decrease in hotel occupancy and a 2% decrease in Disney Village revenues. The decrease in average spending per room was due to lower daily room rates and spending on merchandise. The decrease in hotel occupancy was attributed to fewer room nights sold compared to the prior-year quarter, with fewer guests visiting from most key European markets, partially offset by more guests visiting from France and Spain. Real estate development operating segment revenues increased €2 million to €3 million. This increase was due to higher land sale activity than in the prior-year quarter. Given the nature of the Group’s real estate development activity, the number and size of transactions vary from one period to the next. During the third quarter ended June 30, 2016, the Group’s operating performance was impacted by an increase in costs and expenses compared to the prior-year quarter, driven by investments in the guest experience, including hotel refurbishments, incremental security costs and other operating cost increases, partly offset by lower volume-related resort costs. Resort operating segment revenues decreased 3% to €924 million from €950 million in the prior-year period. Theme parks revenues decreased 5% to €522 million due to a 7% decrease in attendance, primarily offset by a 2% increase in average spending per guest. The decrease in attendance was due to fewer guests visiting from most key European markets partially offset by increased attendance from Spain. The increase in average spending per guest was due to higher spending on admissions. Hotels and Disney Village® revenues remained relatively flat at €372 million. Other revenues increased €3 million to €30 million primarily due to booking cancellation fees. Real estate development operating segment revenues increased €6 million to €7 million. This increase was due to higher land sale activity than in the prior-year period. During the nine months ended June 30, 2016, the Group’s operating performance was impacted by an increase in costs and expenses compared to the prior-year period, mainly due to investments in the guest experience, including hotel refurbishments, labor and other operating cost increases. In addition, the Group incurred incremental security costs and costs associated with higher real estate activities. The negative performance discussed above had an impact on the Group’s liquidity position during the quarter and it drew an initial €40 million under the €350 million standby revolving credit facility granted by The Walt Disney Company. Subsequent to the third quarter, the Group drew an additional €90 million. Depending on future performance, the Group could further draw on its facility. The popular Frozen Sing-along show returned in June to Disneyland® Park and a new production, Mickey and the Magician, was launched in July at the Walt Disney Studios® Park. The Group continued its refurbishment program in preparation of the celebration of Disneyland® Paris’ 25th Anniversary in 2017. To date, the Group has completed refurbishments of “it’s a small world” and Peter Pan’s Flight, which re-opened in December 2015 and July 2016, respectively. Big Thunder Mountain and Star Tours are currently scheduled to be completed in January 2017 and March 2017, respectively. Catherine Powell assumes the role of Présidente of Euro Disney S.A.S. As announced on April 12, 2016, Catherine Powell assumed the responsibilities of Présidente of Euro Disney S.A.S., effective July 11th . Catherine Powell replaces Tom Wolber, who will return to the United States to take on operational responsibilities of Disney Cruise Line to oversee the expansion of that business. Eurostar rail workers are to take seven days of strike action this month in a dispute over their work-life balance, the RMT union says. Eurostar staff in the United Kingdom will walk out from 00:01 BST on 12 August until 23.59 BST on 15 August, and for three days over the Bank Holiday weekend from 27 August. The union says the dispute is over unsocial hours and duty rosters for about 80 train managers. Eurostar said all passengers with reservations will be able to travel. The company added it has been planning for possible strike action and is still in discussions with the RMT over the dispute. The RMT says Eurostar has failed to honour an agreement from 2008 over conditions for their staff. RMT general secretary Mick Cash said: “Our train manager members at Eurostar have a heavy commitment to shift work and unsocial hours and are sick and tired of the company’s failure to honour agreements. “Our members have every right to have a fair work-life balance that fulfils the operational needs of the company while guaranteeing quality time off for friends and family. The RMT announcement comes amid strikes by its members on Southern and Virgin Trains East Coast. Southern Rail staff are in the midst a five-day strike over the role of conductors, while the RMT announced on Tuesday that its members on the Virgin East Coast line voted to walk out in a dispute over staffing changes. The RMT says the action on Southern Railway workers will be suspended on Thursday and Friday if the company agrees to urgent talks without pre-conditions.